First off, I just want to give a shout out to Inspiks.com for being kind enough to post an interview with me earlier this week! They've been very supportive of the Word series since very early on and are doing some really cool stuff on their site. Check 'em out! The book of Nehemiah covers the same time period as the book of Ezra. The Israelites just got the get-out-of-jail-free card from their Babylonian captors and head back to Jerusalem to rebuild their life. As we saw in Ezra, they are coming back to Jerusalem tired and battered. While Ezra seemed to emphasize the journey back, Nehemiah focuses rebuilding their city and community. The Israelites were attempting to rebuild their wall. The Wall is a famous album by Pink Floyd. Pinky and the Brain was a cartoon about two mice. Mice eat cheese. There are many different kinds of cheese including swiss. Switzerland had a dictator named Napoleon. Napoleon ended up on an island. An island is the main setting for the TV show Lost. Lost stars Matthew Fox. 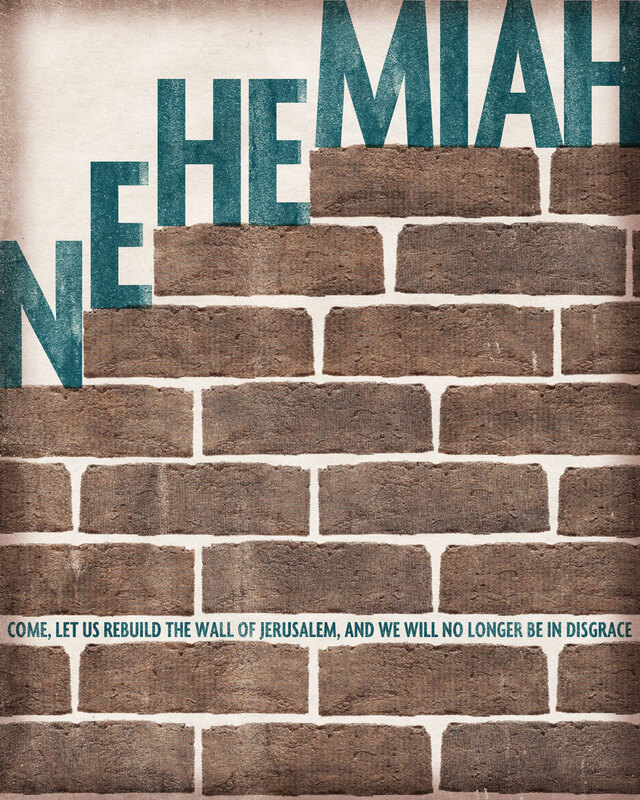 And guess what the anti wall builders say in Nehemiah 4:3? What they are building—even a fox climbing up on it would break down their wall of stones! That's right, suckas! The Israelites enemies didn't want them to rebuild the wall because they were afraid that might bring about the wrath of TV star Matthew Fox! Party of fists, baby! I know, I know, it all seems so clear now, you're wondering how you didn't see the connection before. You're welcome.